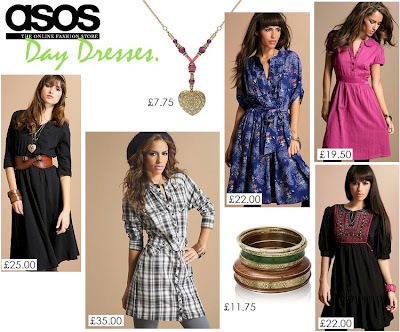 Get shopping at ASOS here! They all look really nice, I wish the exchange rate was better. Those are really super cute. I like the second one of yours and the black one with the design around the neck, I also heart the other ones, but those two are my favorites. Nice design.!! #2 dress is my favorite. I just ordered the black dress on the right :D I love it so so much ! Thanks for the cute post.